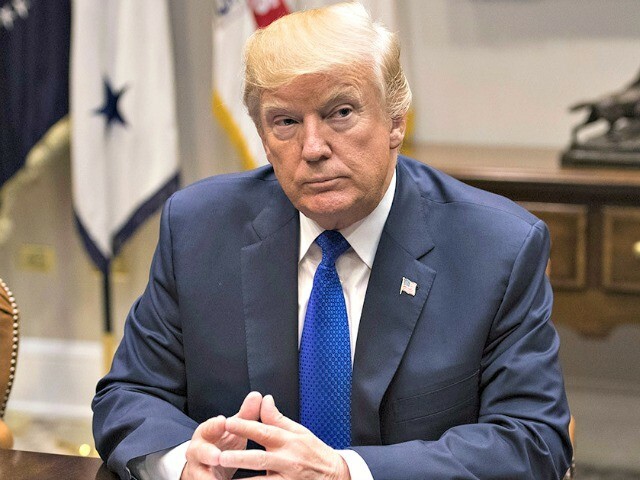 WASHINGTON, DC – Senior administration officials announced on Friday that President Donald Trump will waive, once more, the nuclear sanctions that the terms of the Joint Comprehensive Plan of Action (JCPOA) require so that the United States can remain in the Iran deal. Trump also authorized the Treasury Department to levy new sanctions against Iran. However, senior officials made it clear in his that this will be the last such waiver the commander-in-chief will issue. Senior administration officials said that this action would not entail direct negotiations with the Iranian regime, but instead that President Tump would be working with America’s European partners to reimpose multilateral sanctions should the Iranians surpass the new triggers the White House and Treasury Department will lay out. President Trump has repeatedly denounced the Iran deal and nuclear agreement that was negotiated by former President Barack Obama, going so far as saying he will rip it up. October was his first time refusing to certify the deal. However, he has yet to scrap it altogether. In addition to the announcement that President Trump would once again waive nuclear sanctions that were implemented under the Obama administration, the Treasury Department announced that its Office of Foreign Assets Control (OFAC) has designated 14 individuals and entities in connection with serious human rights abuses and censorship in Iran. The Treasury Department noted that Friday’s sanctions are part of the Trump administration’s larger actions to counter the Iranian grime growing and destabilizing behavior, which includes human rights violations. The sanctioned entities and individuals are Iranian and Chinese.